I have not been to the Smokey Mountain area in a long while. The last time I’ve been there was in the mid 1990s (around 1995) when the area was still largely undeveloped and literally smoking from the smoldering garbage and the fires caused by methane released by the decomposing waste in the open dump site that grew to mountainous proportions. At the time, there were some efforts to alleviate the living conditions of people who resided here, many of whom depended on scavenging for junk and the production of charcoal. 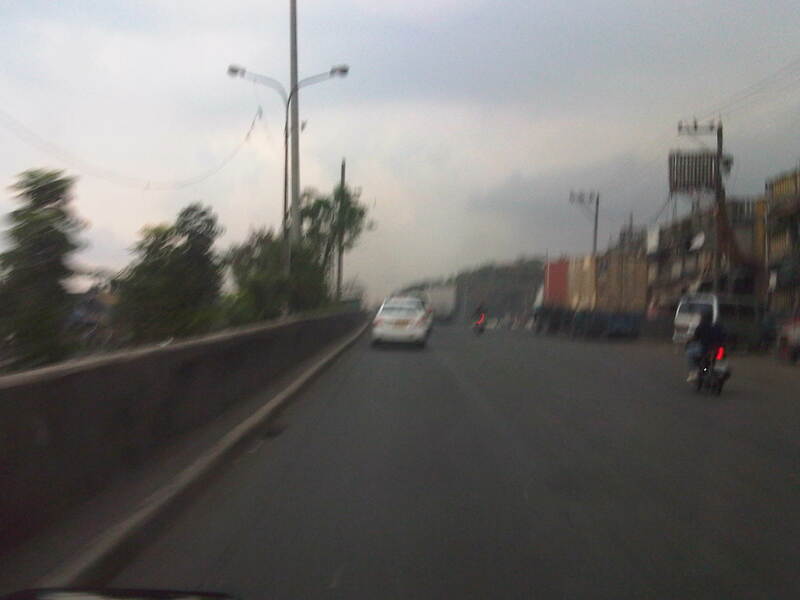 While Quezon City had its own mountains of garbage in Payatas, Smokey Mountain at the time symbolized poverty and desperation in the Philippines and took informal settlement to an even higher level than what we usually see around factories and vacant lots mainly in cities around the country where people try their luck in the hopes of having better conditions in life. 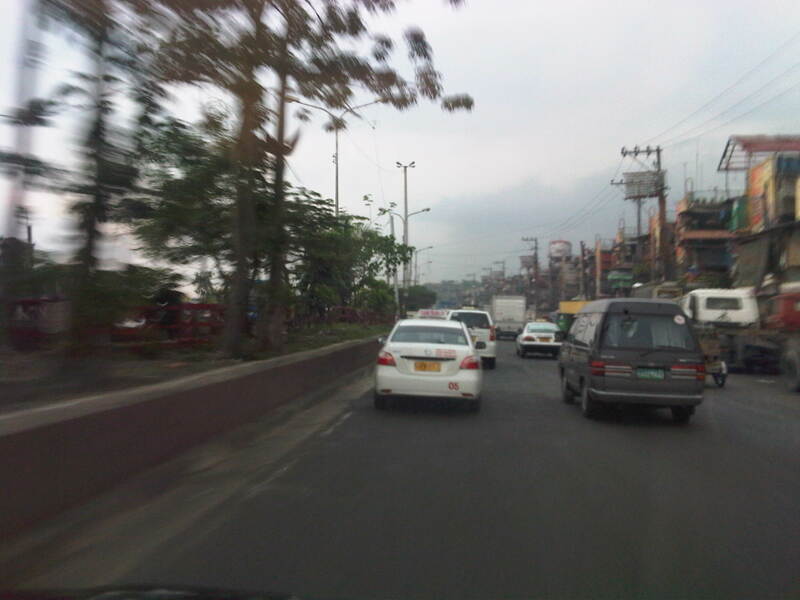 The following photos were taken while we were returning to Quezon City from a meeting in Manila. Our driver offered the idea to take this route as against the usual one that passed through Quezon Blvd and the Quiapo area, believing that a route via R-10 and C-4 would be faster. 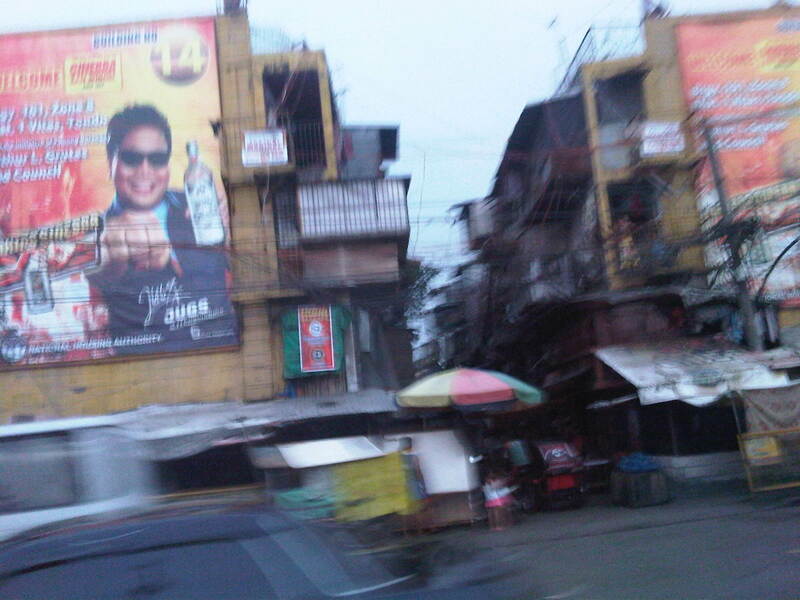 It was indeed faster and afforded me photo ops of the road environment along the way. 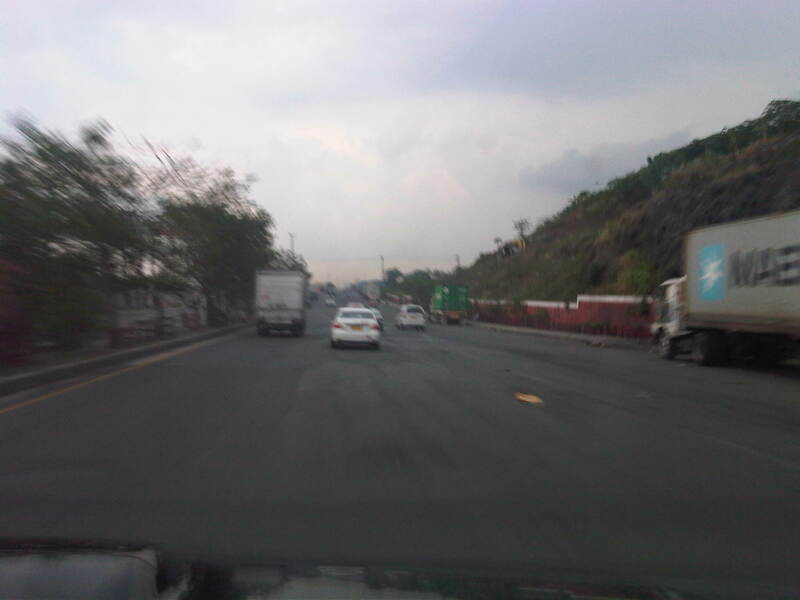 Admittedly, the photos are not of good quality (blurry) as it was a gloomy afternoon and there was a slight drizzle the entire time we drove from the Port Area to UP Diliman. R-10 northbound – having an animated conversation with my fellow passenger, I almost forgot where we were and the area we were passing en route to C-4. I suddenly recognized the area when I saw what looked like a small hill in the horizon. It was then that I realized that that was no hill. It was a mountain – Smokey Mountain. Walk-up – on our right were 4-storey apartment buildings that looked like they were at the point of bursting what with all the protruding wood, metal and cardboard from the buildings. The original building is colored beige and all other “enhancements” are actually attempts to expand units probably made by residents to accommodate more (extended) family members. Extensions and expansions – I don’t know if the modifications to the tenements are legal or done with the approval of local authorities. I am sure though that these are unsafe and would probably collapse if a significant magnitude earthquake hit Metro Manila. Such are the urgent problems of mass housing that need to be addressed and quickly. But then, beneficiaries of such housing should not abuse their units to the point that they become decrepit and safety hazards. On-street parking – along R-10 were parked vehicles of which many were trucks and tricycles. 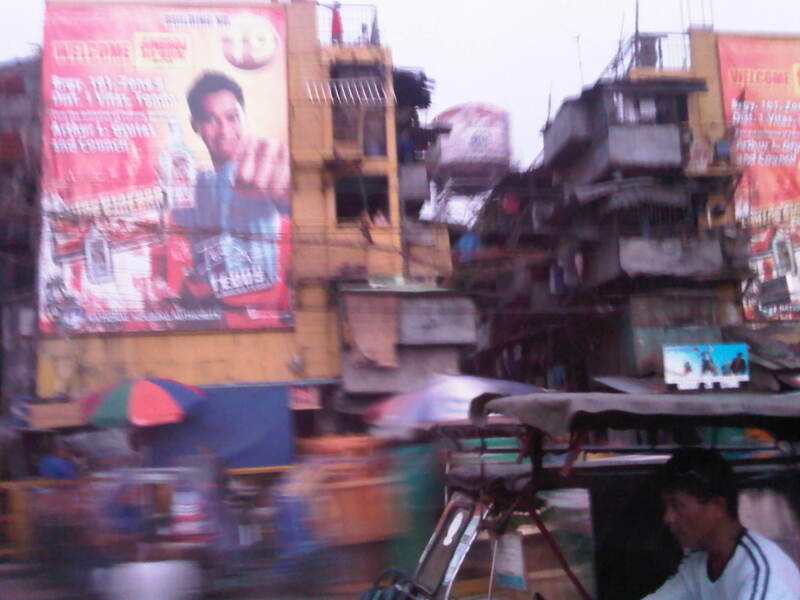 The residential areas are served mainly by 3-wheelers including tricycles and pedicabs (padyak). Most business along the roadside cater to truckers: vulcanizing shops, vehicle repair, eateries and sari-sari stores that are part of the informal (and underground) economy; a major aspect of transport in the Philippines. 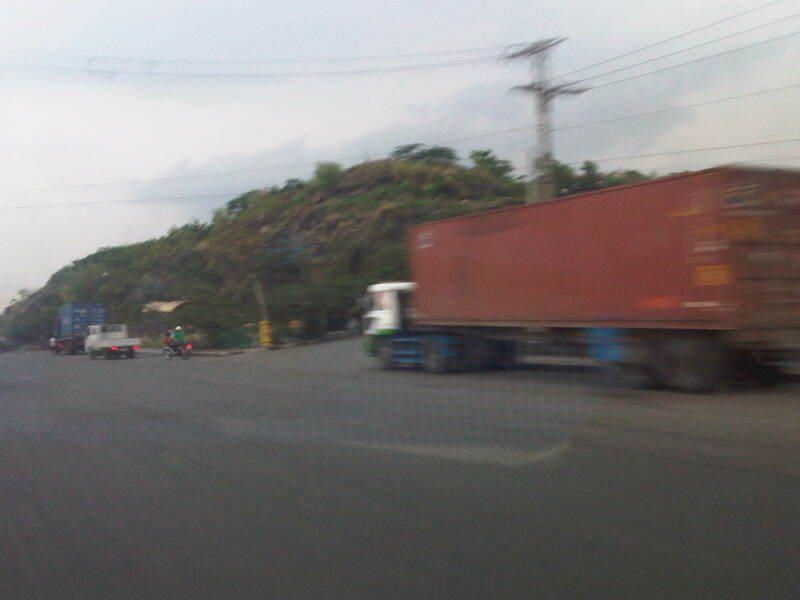 Wide carriageway – the sections of R-10 in the Smokey Mountain area had something like 5 lanes per direction. There were no pavement markings so this is just an estimate based on the likely lane widths to factor in the significant truck traffic passing through the area. My previous memory of the place was a 2 lane road without curbs or shoulders. Foot of the mountain – this is what remains of Smokey Mountain after much of the garbage had been transferred, and the rest treated after dumping was ordered discontinued in the 1990s after outcries from environmentalists and various NGOs. The pavement conditions back in the 1990s were so bad that there were frequent congestion along the road and leachate from the garbage flowed along the roads. 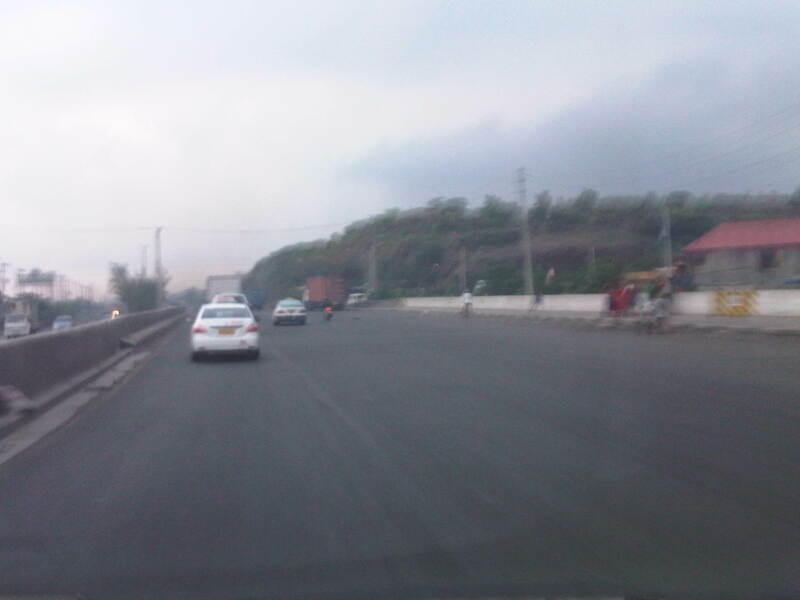 It was worse during the wet season as the rain and the usual winds sprayed a stinky mix unto vehicles passing the area. One had to wash or take his/her vehicle to the car wash as it will smell really bad. If you allow the vehicle to dry, its even worse because in addition to the smell, the car exterior would be sticky. Mountainside – there were garbage and other wastes, the homeless and informal settlers everywhere in the area. Mountains of waste were on either side of the road, and the smell will seep into a vehicle, never mind if one drove a new car as the stench was strong enough to overwhelm filters and air-conditioning given enough time. The residential buildings in the preceding photos are not the first ones to be built in the area. In the early 1990’s a few walk-ups were constructed on the other side of the highway as a first effort to address the question of informal settlements around Smokey Mountain. I remember those to be the first ones to be abused by the residents/tenants themselves who seem to think it was their right rather than privilege to be granted housing and be beneficiaries of livelihood projects by both government and NGOs. It is a good thing that the dump site was closed many years ago. Unfortunately, similar waste disposals are present elsewhere including parts of Payatas in Quezon City and San Mateo in Rizal. Open dump sites should not be an option for many LGUs without the proper guidance of experts from pertinent government agencies and the private sector. Proper and suitable waste management systems should be a priority for LGUs. By d0ctrine in Highways and Streets, Land use on May 14, 2012 .